Orthodontic treatment can correct many common dental problems, including misaligned teeth, an uneven bite, and crowded or protruding teeth. Crowded teeth can be difficult to brush and floss properly, which can contribute to tooth decay and gum disease. Protruding teeth are susceptible to chipping. A crossbite can cause unfavorable growth and uneven tooth wear. An openbite can lead to tongue thrusting and speech impediments. Other conditions, including mouth breathing, clenching or grinding the teeth, the inability to comfortably close the mouth, or jaws that shift in position or make sounds as they move, can be signs of an orthodontic issue. Orthodontic treatment can create room for crowded, erupting teeth; create facial symmetry; reduce the risk of trauma to protruding front teeth; preserve space for new teeth to erupt; prevent the need to remove teeth; and reduce the amount of treatment time required with braces. Orthodontic treatment can be used to treat other problems common in children, such as early or late loss of baby teeth, persistent thumb sucking, and tongue thrusting. Orthodontists recommend that children have an orthodontic evaluation by the age of 7. An early evaluation is recommended because tooth development at the age of 7 can vary widely from child to child. An orthodontist can tell if there will be enough room in the mouth for all of the permanent teeth. He or she can tell if a child will need orthodontic treatment or if the differences are simply a normal variation. The age of 7 is a good time for a child to receive an orthodontic evaluation because by that age the first adult molars have erupted, which establishes the back bite. 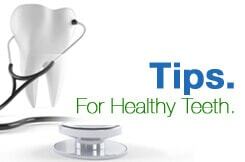 This allows the orthodontist to evaluate front-to-back and side-to-side tooth relationships. Another reason for an early evaluation is that many problems are easier to treat if they are detected early because a child's jaw is still growing. For example, a crossbite, which causes the upper teeth to close inside the lower ones, can be treated with a palatal expander in a young child, but if left untreated oral surgery might be required later. Beginning orthodontic treatment early makes it easier to correct many problems and can mean your child will not need to undergo extensive treatment later. Treatment might not be necessary at the age of 7, but it is important to at least have an evaluation and come up with a treatment plan.